Charlie brought home a school assignment this week that demonstrates exciting (to me) progress in composition. In a structured assignment to write a personal narrative about a life experience, he wrote about riding his first roller coaster. I've noticed a trend of parents posting on facebook their utter shock that their child has reached a certain age (6 months, 10 years, 16 years, 38...ok, not 38). While I can understand this sentiment of a milestone sneaking up on a parent, it amazes me more to be able to watch my kids develop. As Charlie strings together paragraphs like those below, Teddy asks why it says 7-1-D on the back of the bus. It's safe to say that neither one of them could have accomplished these tasks four months ago. His mother's genes gave him the memory for detail displayed below. 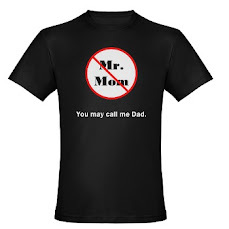 My genes contributed over the top emotions and a proclivity for the broad pronouncement. Never, ever in my life have I been more proud of myself than on my 6th birthday. I was at Kennywood with my Mom, my Grandparents, my Dad and Uncle. My Mom and I were waiting in line for the Jack Rabbit. Finally, it was our turn to ride. First, we got in and sat down. I was so excited! I couldn't wait for the ride to start! I got buckled up. The loudspeaker announced the start of the ride. Next, the Jack Rabbit pulled away from the station. The Jack Rabbit went oh, so very fast. Boy, did I scream. It kept going as if to never, ever end. Last, the Jack Rabbit sped through a pitch-black tunnel. It slowed and came to a stop in the station. I beamed and said, "I did it!" It felt great to accomplish riding my first roaler (sic.) coaster. I learned the Jack Rabbit is an awesome roaler coaster. It will give you a highlight of the day. 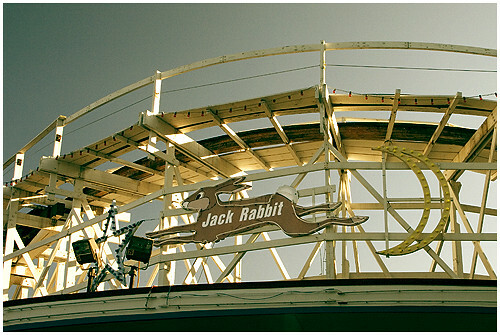 I will still ride the Jack Rabbit for years to come. This is definitely good writing for a kid Charlie's age. It conveys, vividly, how the author felt about his experience. It starts with a great statement to set it up then proceeds with a definite beginning, middle and end. Thanks for including this guest author!